In the rush to gain Share of Voice by increasing the frequency and reach of sales calls, pharmaceutical companies may have lost sight of the value that the “detail person” has given to physicians in past years. The declining sales force return on investment may signal that a significant adjustment will take place in how pharma companies market and sell their products to physicians. Many experts–not the least of which are the experts cited in this Special Supplement–think that eDetailing fits the bill for a solution to declining physician marketing ROI. 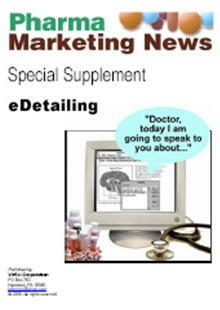 This Special Supplement to Pharma Marketing News brings together in one convenient document several topics and case studies on eDetailing and ePromotion to physicians. The resultant collective wisdom of many experts both inside pharmaceutical companies and outside provide a frank assessment of the role and impact of eDetailing on physician marketing as well as the challenges that lie ahead. Next articleIs FDA Seeking NSA Capabilities? Pharmaguy™ is a “constructive critic” of pharma marketing and publishes commentary on the Pharma Marketing Blog and on Scoop.it. Limiting Sales Rep Access to Physicians: Do the Benefits Outweigh the Risks? The Pharma Marketing Network® was established in 2003 by John Mack (aka Pharmaguy). Our ongoing mission is to continue the work John started; speaking truth to power, asking tough questions, and building this ever-growing community of conscientious professionals. © 2019. 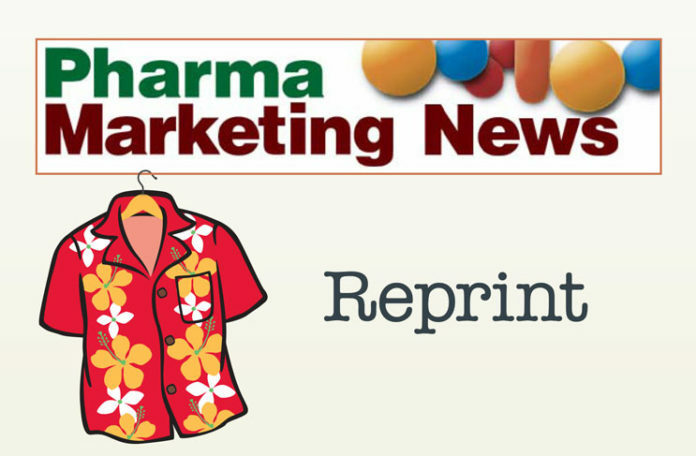 Pharma Marketing Network. All rights reserved.